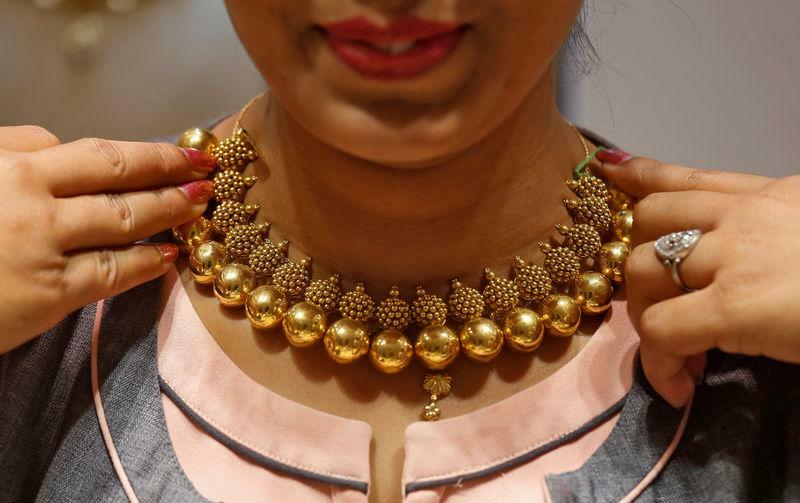 BENGALURU (Reuters) - Gold prices inched lower on Thursday on the back of a stronger dollar as investors digested the U.S. midterm election results and turned their focus to the Federal Reserve's monetary policy decision due later in the day. "Gold has found support around $1,223. If we see good news from the Fed, we may see a bounce. But for now, we think the Fed will continue with the monetary policy tightening," said Benjamin Lu, a commodities analyst with Phillip Futures. "I suspect gold will ping pong along with the U.S. dollar as traders begin to re-evaluate the current state of the USD," Stephen Innes, APAC trading head at OANDA in Singapore, said in a note. Holdings in SPDR Gold Trust, the world's largest gold-backed exchange-traded fund, fell 0.19 percent to 755.23 tonnes on Wednesday, marking the fourth straight session on declines.